Sister Carol with Maung Thain, who is from Burma. They are reviewing numbers and the words related to the numbers. 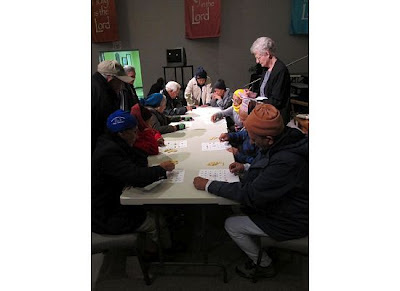 The Refugee Elder Program is a collaborative effort by Kentucky Refugee Ministries (KRM) and the Migration and Refugee Services (MRS) of Catholic Charities. The Louisville program serves about sixty elders from approximately 10-12 different nationalities and ethnic groups speaking as many languages. Refugees come from all over the world and are legally admitted to the United States. They are victims of warfare or of other forms of persecution because of their religious or political beliefs. Many refugee elders have not been given the opportunity to attend any kind of formal education at any point in their lives. I became involved in the Refugee Elder Program after responding to an ad in The Record from Catholic Charities about the need for volunteers. The elder program meets twice a week (2 hour sessions) for English and citizenship classes, community speaker presentations, art lessons, and field trips in the Kentuckiana area. The goal of the program is to help the elders learn English, attain their citizenship, and become active members in the community. Each elder receives an evaluation of his/her readiness to participate in one of the four levels of the program. The elders are eager to learn, humble and gracious when accepting assistance, and delighted when complimented for each simple achievement. 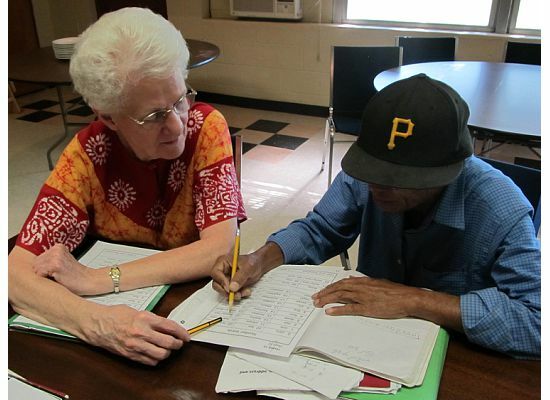 Volunteers are a vital part of the Refugee Elder Program’s success. As a volunteer, I assist with a group of elders who come from several countries, speak several different languages, have been in the United States for as many as four years or as few as four months, and have few opportunities to learn and speak English. Many more volunteers are needed to give personal support to each elder. I am privileged and blessed to receive love and gratitude from the elders.